Last weekend I took a train to Prague, Czech Republic. Wandering around the ancients streets of the old city you quickly forget the time you live in. 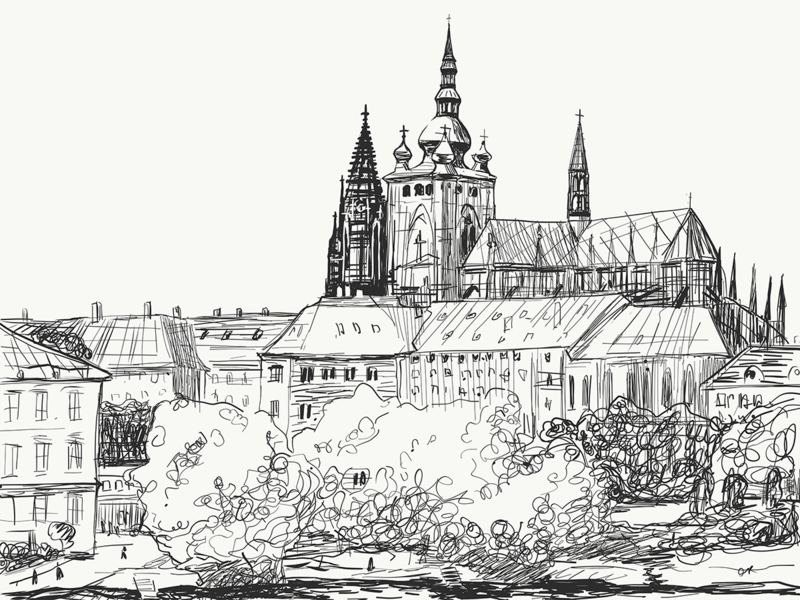 Seeing ancient moss-covered stone walls of temples, facades of houses with detailed mosaics, tiny cozy cafes with antique signboards and variety of smells from bakeries and restaurants inspired me to make a sketch of this beautiful city. 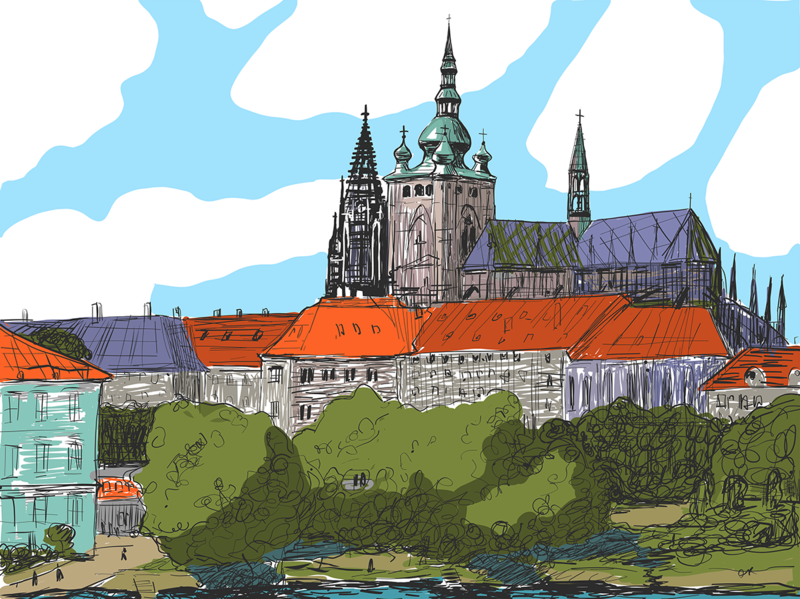 My choice stopped at the St. Vitus Cathedral which is clearly visible from the waterfront of the Vltava River. 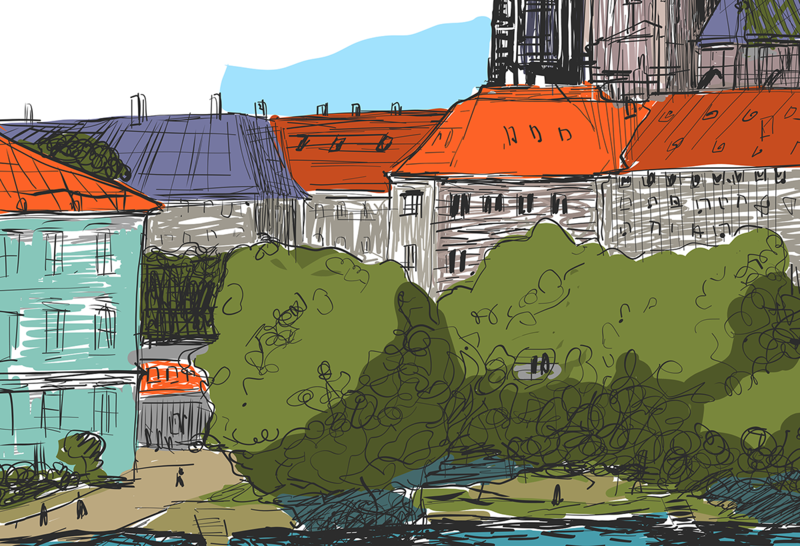 I took my iPad with the new Adobe Draw to make a sketch en plein air and record a time-lapse video of the drawing. 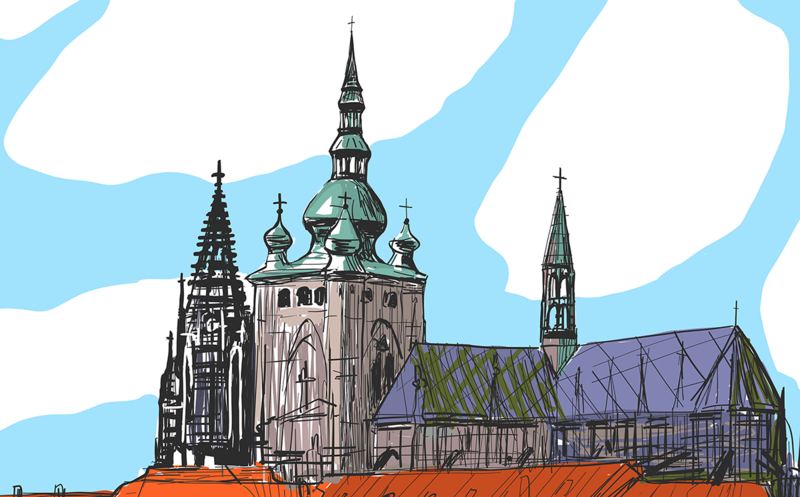 Sitting in a cool shade on a bench made the drawing ready quickly and I was back exploring the city.